Singer Rihanna and Prince Harry brought awareness to the global AIDS fight in Barbados on Thursday (01Dec16) by undergoing a live test for the disease. Singer Rihanna and Prince Harry brought awareness to the global AIDS fight in Barbados on Thursday by undergoing a live test for the disease. The Umbrella hitmaker returned to the island nation to represent her country on Wednesday and met the British royal at the Toast to the Nation event, held to celebrate the 50th anniversary of Barbados' independence from the British Empire. On Thursday, Rihanna and Prince Harry reunited for a World AIDS Day event, during which medical professionals tested them for the blood disease. 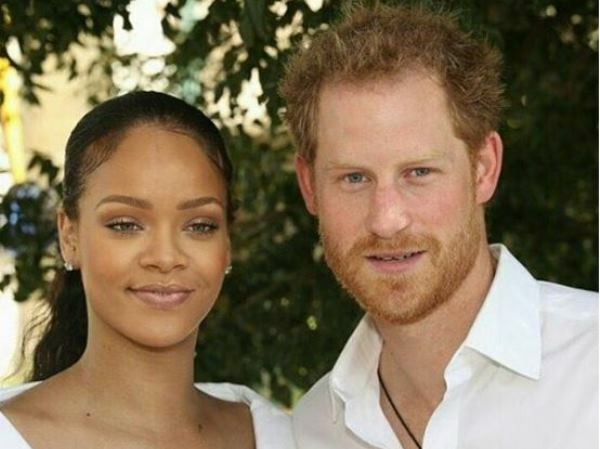 Read more: Prince Harry’s new romance to be tested by Caribbean trip – and Rihanna "You made it seem like it hurts," Rihanna joked as her finger was pricked. "It's not as painful as you said this morning." Both tests came back negative. #RoyalVisitBarbados 1st December 2016. (Caribbean tour: Day 11) Prince Henry of Wales and pop star Rihanna met for the first time during Prince Harry's official tour of the Caribbean. While celebrating 50 years of independence in Barbados on Nov. 30th, Harry met up with the singer at the country's Toast to the Nation event. Later that night, they continued to get to know each other and share some sweet glances while attending the Golden Anniversary Spectacular Mega Concert at the Kensington Oval Cricket Ground. And today, they continued their adorable antics during another afternoon of appearances. The two stopped by the Man Aware event held by the Barbados National HIV/AIDS Commission, where they each got a blood test (much to Rihanna's dismay) and posed for photos with volunteers. Harry then traveled to Nature Fun Ranch, a place that encourages young people to speak freely with one another about important topics, where he got friendly with a horse. HRH's trip so far has been packed with amazing moments, Prince Harry has done a lot of wonderful work by bonding with kids, releasing baby turtles into the sea, and having fun with locals. Prince Harry explained he wanted to showcase how easy it is to undergo AIDS testing, while stressing the importance of treating the virus with the proper medication. A spokesperson for Kensington Palace says. "This was only arranged last night. Prince Harry asked her at the concert. They spoke after he had given his speech. They spoke for about 15 minutes. She was very happy to do it. "She has had people in her life that she has known, who have died from AIDS. She said this is important and she wanted to do this. She has tens of millions of followers on social media alone. Her people are confident that she can reach a billion people through social media." The royal heir arrived in Barbados earlier this week and kicked off his visit with a stop at the Nightingale Children's Home, which provides accommodation and care for kids under the age of 18. He also headed to the Queen Elizabeth Hospital on Wednesday to spend time with sick children, six years after his last visit. His two-week tour of the Caribbean will wrap up this weekend with a trip to Guyana.